Detribalized Amerindians are indigenous people residing in the United States and Canada who do not live on reservations and who are no longer officially connected to their people group of origin. A large number of Native Americans have migrated to cities and urban centers. Cities provide education and jobs. The result is the rise of three classes of Amerindians: those that assimilate into the Anglo society, the street Indians (jobless and poor), and a working class of Amerindians that assimilate into the white man's world to survive, but still maintain Indian values and perspectives. Most Amerindians are in this working class. Urban areas with significant populations include Minneapolis, Denver, Albuquerque, Phoenix, Tucson, Chicago, Oklahoma City, Houston, New York City, Los Angeles, Rapid City, and spread throughout Canada. Many live in poverty and deal with racism, unemployment, drugs and gangs. They primarily speak English and practice some form of Christianity. 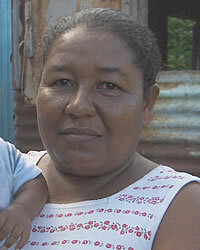 Pray for Detribalized Amerindians to come to a saving knowledge of their Creator. Pray for Detribalized Amerindians to find their identity and their place in Christ. Pray for Detribalized Amerindian believers to be bold in their witness and to have a good testimony among the peoples around them.